Piping Industry NITC STAR Level Certification Programs. The Best in the Piping Industry—Do You Have What it Takes to Succeed? In the service industry, your success is only as good as the reputation you build. Big projects for commercial clients offer you not only financial rewards, but also the ability to build your brand through a recognizable portfolio. Your training and education helped you develop the knowledge and skills you need to remain proficient in your field, but how can both yourself and your future clients know that you really are the best in your industry? The NITC STAR level certification programs offer an excellent way to demonstrate measurable, tangible results that affirm your level of core competency in your profession. NITC is an independent, third-party organization that helps advance the quality of work and knowledge within the piping industry. 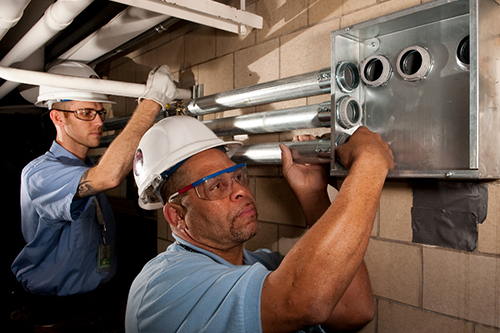 We seek to advance the professions of various piping industry specialties by providing a mechanism by which individuals can demonstrate their knowledge of model codes, standards, and industry practices. Additionally, our efforts act as a mechanism by which stake holders in the construction industry can readily assess a minimum level of competency for such categories. For example, our STAR Commercial Refrigeration Mastery Certification allows candidates to demonstrate that they have a mastery knowledge of the trade and are experienced in operations, planning, blueprint reading, safety, and the practical installation, repair, and service of commercial refrigeration systems. This knowledge includes the design, construction, installation, alteration (retrofit), repair, service and maintenance of all auxiliary systems, control systems, rack systems, and self-contained units in commercial settings. As you can see, the considerations and requirements of an NITC certification represent a comprehensive approach to industry best practices. Our certifications affirm that you have the skills and professionalism to operate in the commercial setting both safely and proficiently. Whether you need a STAR HVAC Mastery Certification, or are looking for plumbing, pipefitting, fire sprinkler fitting, medical gas and more, we have the resources you need for future success. To learn more about the certification process, contact us today at 877-457-6482!